Below is the Bridge Course Calendar showing some of the current bridge courses in your area. (click here to see which counties are in each region). Click on any course listing for more information about it. Scroll up to view the calendar. 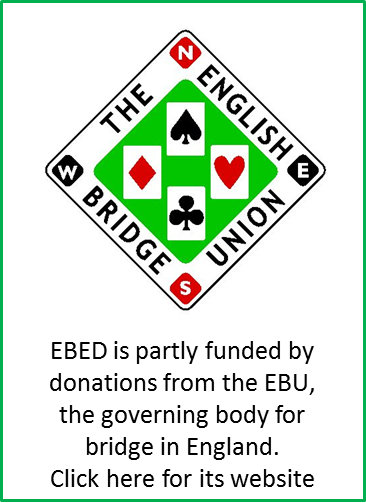 Find out more about Bridge for All, the national learning programme developed for the English Bridge Union and promoted through English Bridge Education and Development (EBED). Find out all you need to know about the EBED Sim pairs events. Copyright © 2019, English Bridge Education and Development is a charitable incorporated organisation established under the Charities Act 2011, Registered Charity No. 1153543.